The Phil Clark Law Firm brings a great range of experience from multiple sides of the legal system. Criminal defense and DUI attorney Phil Clark is a Boulder based lawyer who brings tremendous experience, skill & dedication to criminal defense, DUI cases, & family law in Colorado. Our clients gain the advantage of Phil Clark’s wealth of experience and many relationships throughout the legal world. 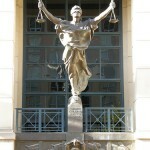 Understanding the inner workings of the District Attorney’s Office is paramount when working on legal defense issues. The judges and the court staff are helpful when working toward the best possible result in a case. Phil’s unique expertise allows him to identify all issues relevant to a case, both legal and social, and weave them into a “best possible resolution”. 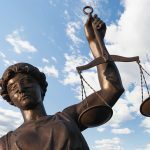 The Clark Law Firm’s expertise and knowledge of the Colorado legal system, as well as understanding of life/legal matters, makes the Clark Law Firm the right choice for your legal representation. Phil has been involved in numerous well-known cases and is highly respected in the legal community. His reputation for knowledge, long-time experience and a “never-say-die” perseverance have garnered him praise and trust by clients and colleagues alike. Moreover, he is recognized as a community teacher of law and has taught at various high schools and community colleges, and extends his services at community centers. Trial attorneys are a tradition in Phil Clark’s family, going back five generations, starting with Jonas J. Clark who was appointed by Abraham Lincoln as the United States Attorney for District of Kansas City in 1861. See our Client Testimonials to learn more about the exceptional defense attorney services Phil Clark provides. Contact Us online for a FREE consultation.